The bill some Northern Colorado lawmakers are calling “the most important legislation facing the region this year” passed a major hurdle on Wednesday. HB 1161, also known as the “Uranium Bill” to many locals, passed the Senate on second reading with healthy, bipartisan support. 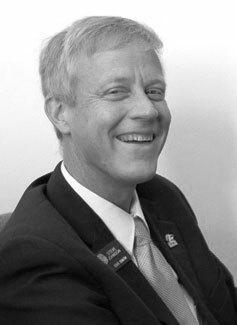 Republican Sen. Steve Johnson, Larimer County, said the bill is sailing through the Legislature on its way to Gov. Bill Ritter's desk. In a letter to a local Nunn resident obtained by GovReport, Johnson said the grassroots effort of many Northern Colorado residents helped tip the scale. I only have a second, and I'll write you a longer, more appropriate email soon, but I wanted you to know HB 1161 passed in great shape today, weakening amendments were all defeated. I also want to say Reps. Fischer and Kefalas were invaluable in the great work they did in the house and the help they gave me in the Senate. But most of all, the emails this week from your group were the key difference. This victory simply would not have happened without the wonderful outpouring of great letters from you group. Plus we had a group from the Fairplay area help out as well. Especially important were all the emails this week asking Senators to reject the weakening amendments. That really go the word out. The one bad amendment only got 11 votes out of 35 !! And the mining industry worked it hard for several days. Like I said, I want to thank you more appropriately when I have time, but I just had to say......GREAT JOB everyone, WELL DONE !!! !